Print advertising is now available in the Chamber newsletter. There will be six ads per quarterly issue. Newsletter is published in January, April, July, and September. 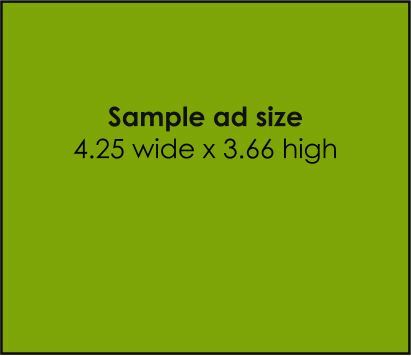 Ad size is 1/6 of a page (4.25 wide x 3.66 high). Cost is $50 per ad per issue (high resolution PDF or JPEG). If ad must be designed, cost is $75 per ad.